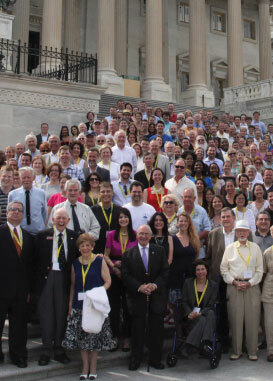 The Page experience has touched the lives of thousands of parents, spouses, family members, friends, and mentors who have shared in the excitement of their Page’s experience on Capitol Hill. By supporting and encouraging their Pages, parents, friends, and family members were also able to engage in the Washington experience. The USCPAA owes much gratitude to Page parents and other supporters who contributed their time and resources to help build this network of former Pages. We encourage your continued support by donating to the USCPAA or by giving the gift of membership to your child or loved-one. If you would like additional information about donating in someone’s name or giving the gift of membership, please contact us. If known, otherwise leave blank. Class year helps us locate the person. Enter your information here, as the person gifting the membership. You entered the recipient already, above.